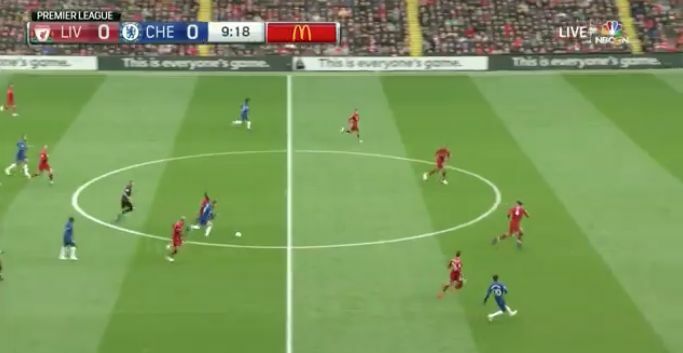 With Eden Hazard breaking forward after a period of Liverpool pressing in the Chelsea half, Fabinho tracked his man back and made a robust, lunging tackle to nick the ball of the Belgian. Fabinho has made those kind of challenges his calling card this season. The referee certainly had no issue with it and it had the added effect of causing Hazard some distress as he found his feet. With Chelsea likely to play on the break as we look to impose ourselves on this one, we’ll need the Brazilian to make more of these crucial tackles.